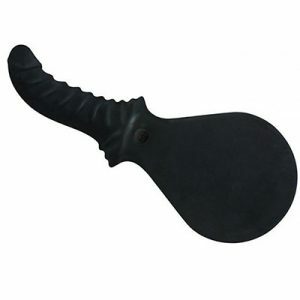 The Leather Paddles with Wooden handles from Sax Leather are the best in the business. The paddle section is made with two layers of tanned leather whilst the handle is made form Australian turned wood. Together the product a perfectly weighted paddle that delivers as much as you can muster. Designed for those who are serious about their B&D the Leather Paddles deliver in spades. 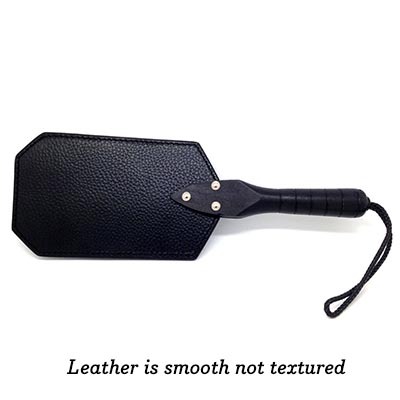 The leather on the paddle part is bonded together with a super strong bonding agent then stitched using a strong nylon cord. The produces a paddle which will withstand super strength. Whilst the handle is smooth turned wood with grip ridges along the length of the shaft to help prevent slipping. Then a leather cords loop is added at the end to slip over the wrist for extra safety. Fiddle – larger bulbous end for super power. Round – gives an overall even slap. Octagonal – a more traditional targeted pounding. To attach the wooden handle and leather paddle Sax Leather use strong metal screws which go through all layers. On each side are rounded caps so there are no sharp edges to cause unwanted injuries. 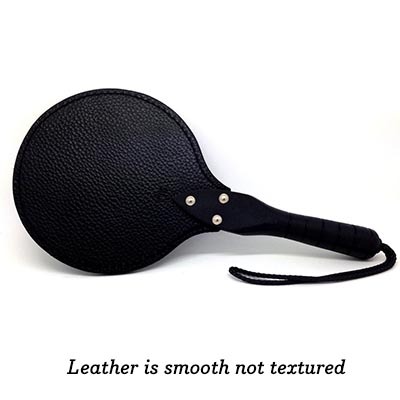 The wooden handle provides a strong area to grip and the leather loop gives added safety, whilst the leather paddle has a strong thud but some give helps prevent injury. Care for these leather paddles as you would any quality leather product. It is suggested not to submerge in water. Clean after use with a damp cloth and store when completely dry. 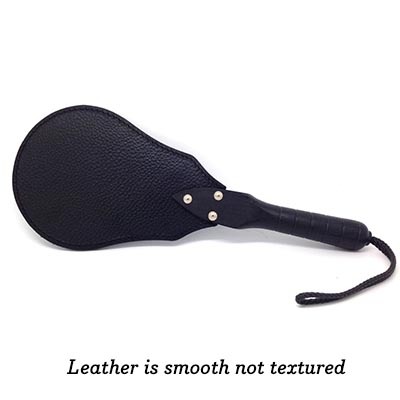 Quality double layer bonded leather paddle. Stitched using super strong thread.